Portugal is a southern European country with the oldest borders in all of Europe. 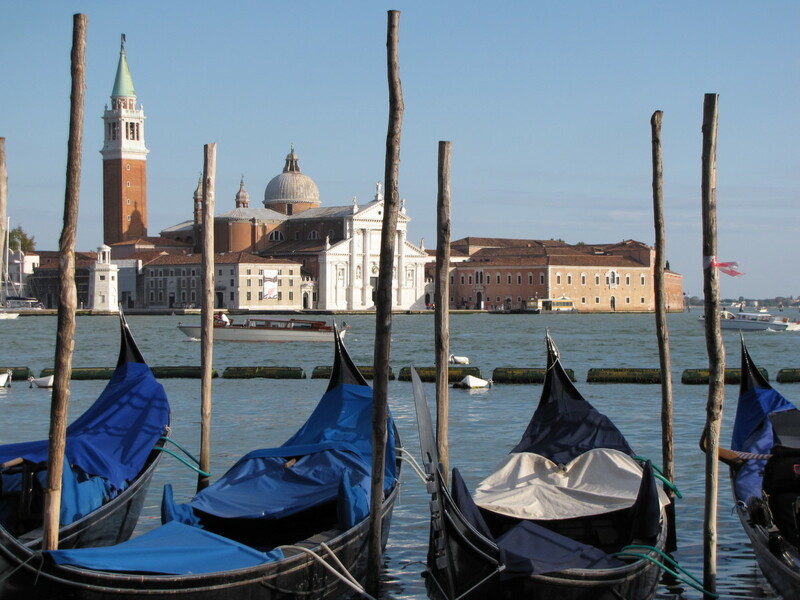 Its proud history can be felt all throughout the country, from its capital down to each tiny, picture-perfect village with its own distinct culture and traditions. Are you planning on visiting Portugal and wondering what you should take back home or try while there? Or maybe you have Portuguese roots and you're curious about the kind of products that are made in Portugal. In any case, what better way to learn about a country than through its products? For that reason, I've decided to put together this article about products I've come to love in my adopted home of Portugal and you'd love too if only you knew about them. Below is a list of my favorite Portuguese products that you should check out! Claus Porto soap is synonymous with luxury and quality. I first came across this fabulous natural soap while shopping in El Corte Ingles, a department store in Lisbon. Claus Porto had a cute display so I decided to buy a bar. I was amazed by how creamy the lather is, how fragrant and natural it smells, and how soft it left my skin. I had no idea that this soap is actually famous and well-known amongst American celebrities. I only found that out after Googling "Claus Porto soap" to see if I could buy it when I returned to the US. To my relief, I learned that I can indeed buy these amazing soaps in various luxury shops in New York. Shops in the U.S. that sell Claus Porto include places like Saks Fifth Avenue, but they're a lot more expensive there. Claus Porto soap has been made in the same traditional way in Porto since 1887. The wrapping is always a beautiful art-deco design, making Claus Porto soaps a wonderful gift or souvenir. You've probably heard of port wine, but what about other Portuguese wines? Portuguese wine production dates all the way back to Roman times and there are over 500 indigenous grape varieties. Even wine experts are unfamiliar with all the different types! 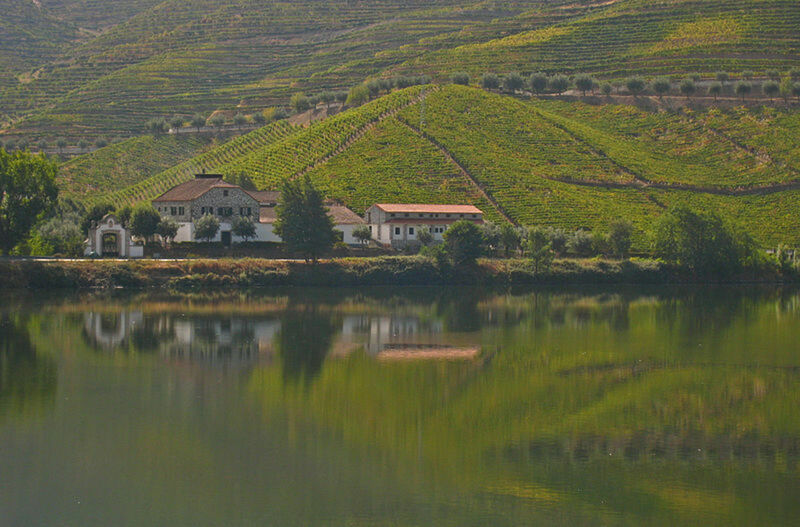 There are 11 major wine producing regions in Portugal, including Alentejo, the Algarve, Beira, Dão, Douro, Minho, Montes, Ribatejo, Setúbal, Tejo, and Trás-os-Montes. Wines in various regions really differ from one another because of the variations in climate throughout Portugal, so you get very distinct wines. There are over 1 million acres (400,000 hectares) of vines and Portugal is the seventh largest exporter of wine in the world. 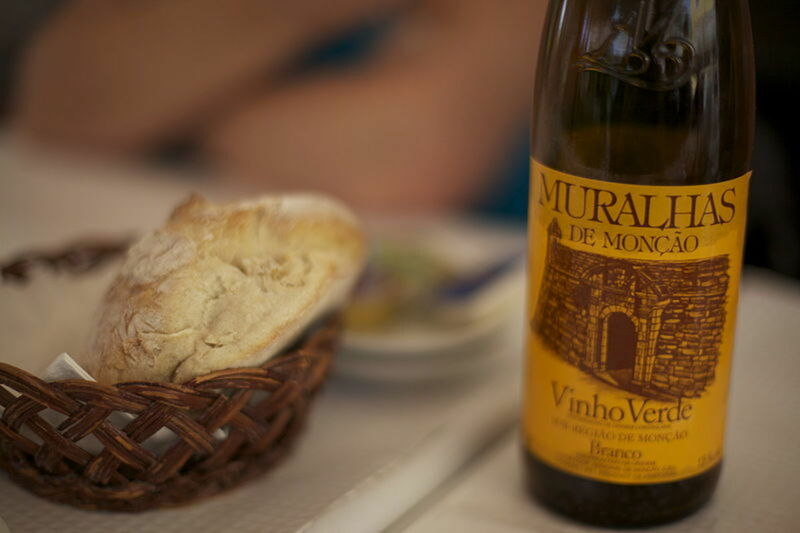 Next time you're looking for wine, consider a Portuguese wine. Maybe some green wine? Portugal's port wine, or simply "port" is not the only fortified wine produced in Portugal, there's also Madeira. Portugal has ceramic tiles down to an art form! Portuguese tiles—known as azulejos—are part of Portuguese culture and have been produced in the country for five centuries. 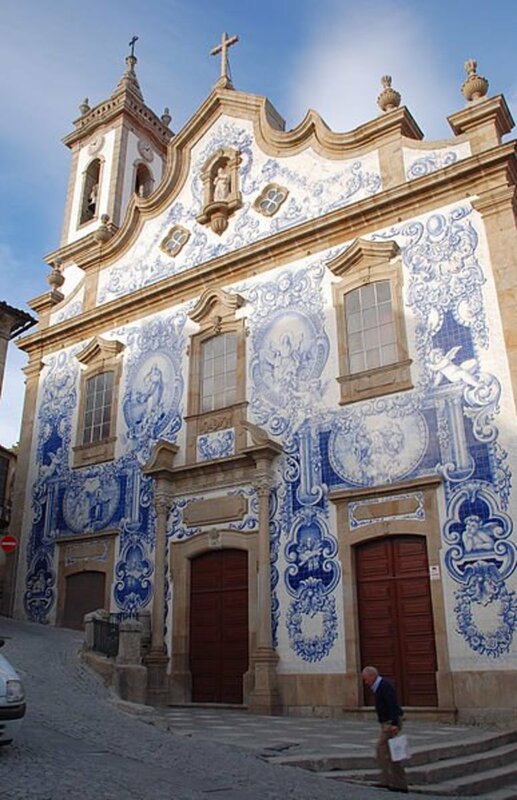 Beautiful azulejos are everywhere you look in Portugal—inside and outside the walls of churches, on ordinary homes as you walk down the block, on benches, fountains, and any place you can imagine putting a tile on. In public places, azulejos often depict historic scenes. There's even a museum (my personal favorite) dedicated solely to the history and production of azulejos. There are also tile-inspired everyday items like gorgeous jewelry and coasters. 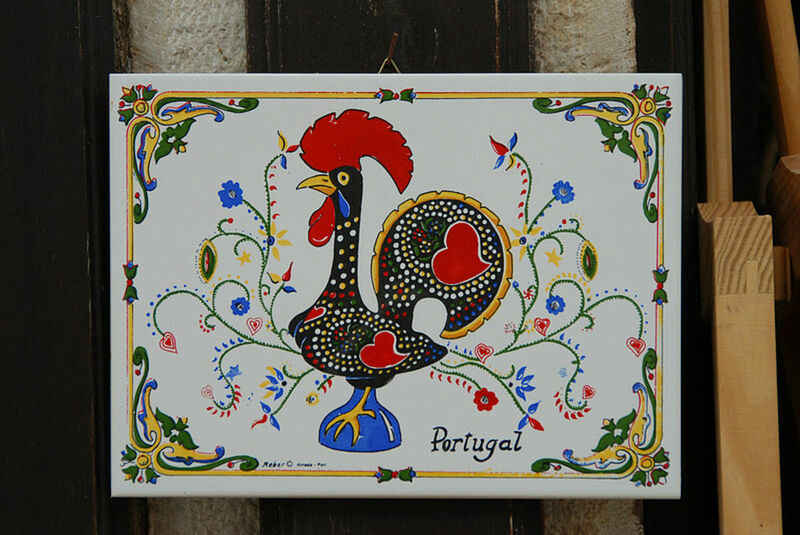 You can buy a beautiful tile or tile-inspired item in many souvenir shops throughout Portugal. It's my favorite souvenir from the country. Portuguese tile, known as azulejo, have inspired artists to create miniature reproductions of their beauty in the form of rings, earrings, and bracelets. 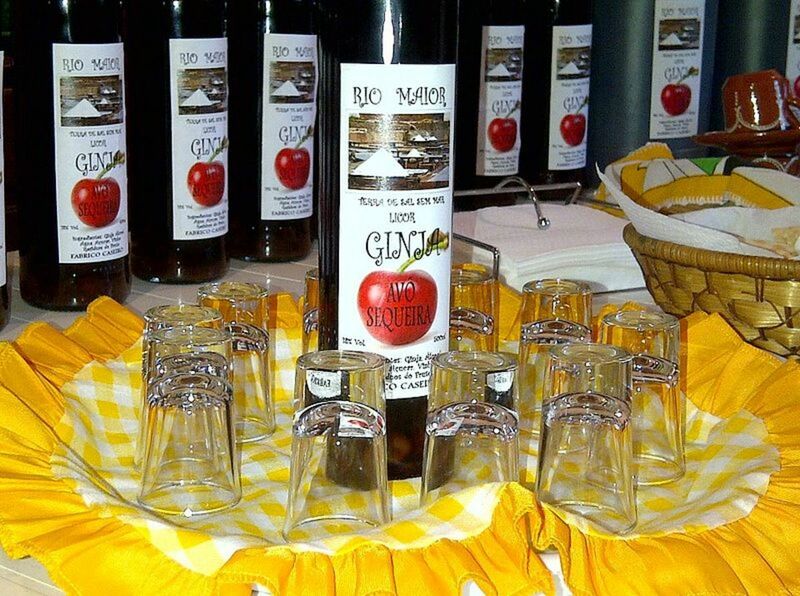 Ginjinha, also known simply as Ginja, is the most famous liquor in Portugal. It's made by infusing sour cherries (called ginjas) with a Portuguese liquor called aguardente. Ginjinha is normally taken as a shot with the cherries on the bottom of the shot glass. In the city of Obidos, the shot glass is traditionally made from chocolate so you just take the shot with the shot glass! Bottles of Ginjinha and chocolate shot glasses can oftentimes be found as a set in souvenir shops. Also in downtown Lisbon, there is a little shop that served nothing but Ginjinha. It's popular amongst both locals and tourists who line up with friends and take shots on the street. Portugal is the largest producer of cork in the world. So naturally, the country also produces some neat things made from cork. Things made from cork include postcards (my family back home loves those! ), cork purses, wallets, and of course wine corks. You'll be sure to come across lots of cork accessories in souvenir shops around Portugal. 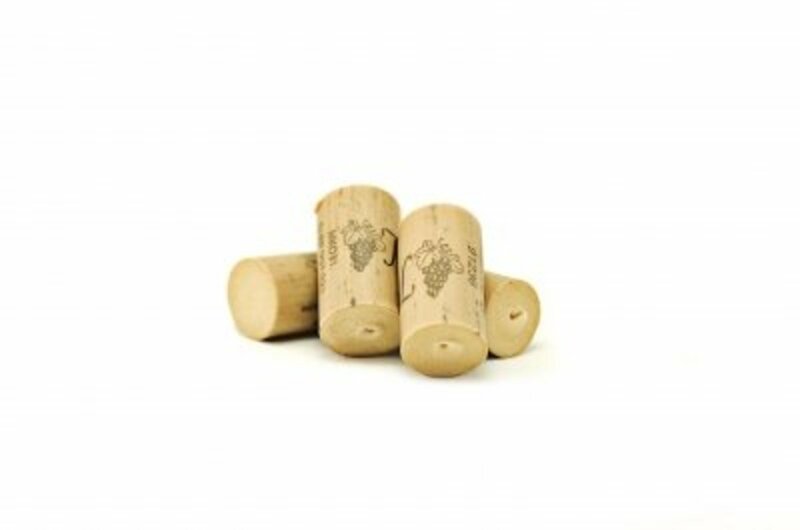 Cork is a natural product, and anything made from cork is considered eco-friendly. If you're looking to make a fashion statement with eco-friendly products, Portuguese cork products are the way to go! You may have heard of prosciutto, Italian dry-cured ham but did you know that Portugal has its own variety? In Portugal, it's called presunto and I personally like it even more! 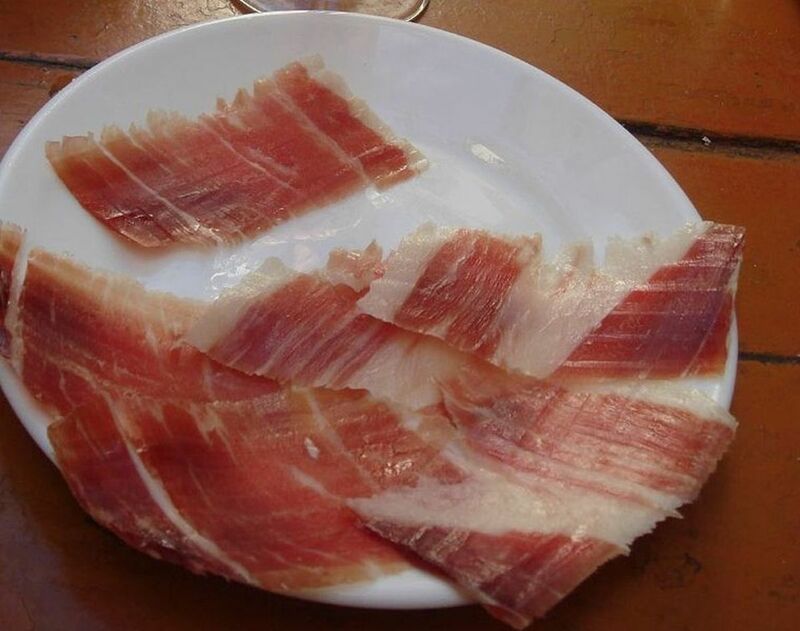 Presunto Iberico, as it's sometimes called, is also made in Spain where it's called Iberico jamon and it's basically the kobe beef of pigs. The pigs from which presunto is made roam the forest freely and eat natural things like herbs and acorns. The meat has a distinct nutty flavor that's incomparable. The most famous presunto in Portugal is Chaves presunto and Alentejo presunto. There's a Portuguese saying that goes, "In the land of cattle, cheese is king.” Cheese, queijo in Portuguese, is certainly king in Portugal. You are bound to be impressed with the huge variety of cheeses made in Portugal. There's cow cheese, sheep cheese, goat cheese, and combinations of all three and they are really good quality. Cheese is a big part of Portuguese culture and is eaten at every meal as an appetizer. The most famous cheese is probably Serra da Estrela cheese, which is semi-soft and is eaten by cutting off the top layer. Other popular cheeses include Azeitão, Serpa, and Terrincho. I was not familiar with Portuguese desserts until I moved to Portugal, and boy was I missing out! 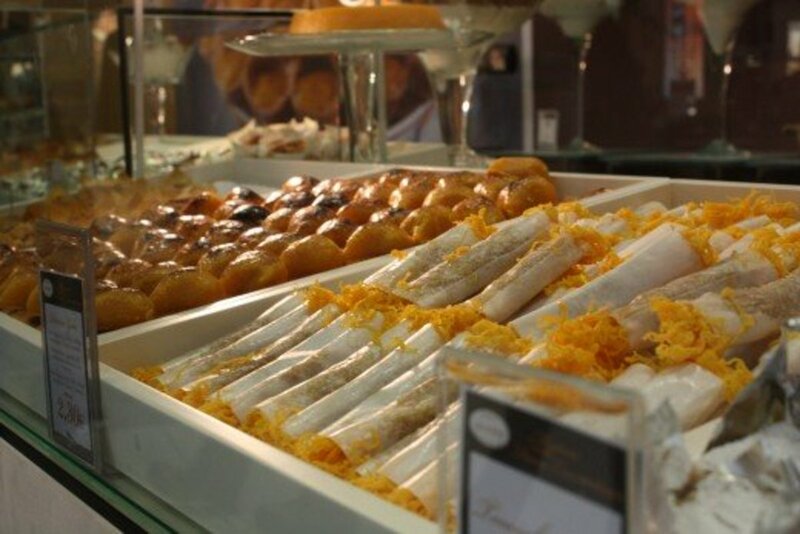 There are more than two hundred varieties of Portuguese sweets. Many are egg-based with names such as toucinho do céu ("fat from heaven"), papos de anjo ("angel's double-chin"), and barriga de freiras ("belly of nuns", after the nuns who invented and prepared them in monasteries hundreds of years ago). There are also marzipan desserts, custard creme ones, and many others that you just have to try! The most well known Portuguese dessert is undoubtedly pasteis de nata. It's an egg custard tart in filo dough that is best served warm, fresh out of the oven, and sprinkled with cinnamon and powdered sugar. It's really delicious and can be found in any Portuguese community. Portuguese olive oil, known as azeite in Portuguese, is some of the best out there. 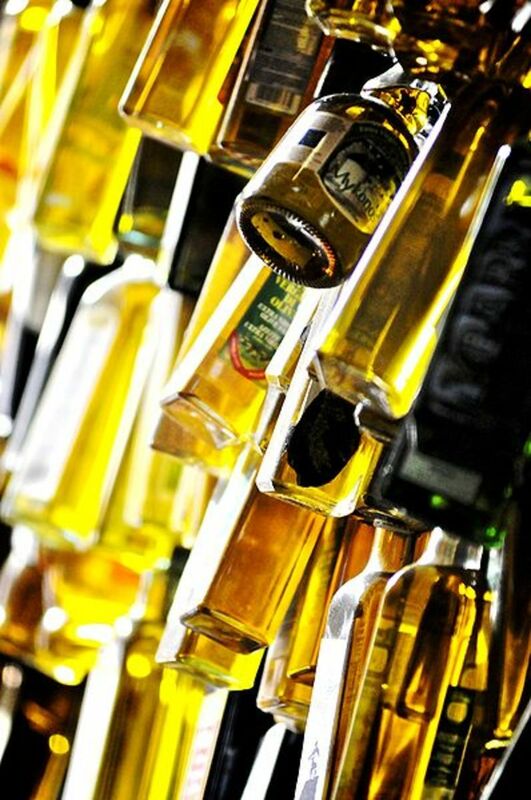 Olive oil production in Portugal has a long-standing tradition, dating back to Roman times. There's even evidence of olive trees in Portugal dating all the way back to the Bronze Age! 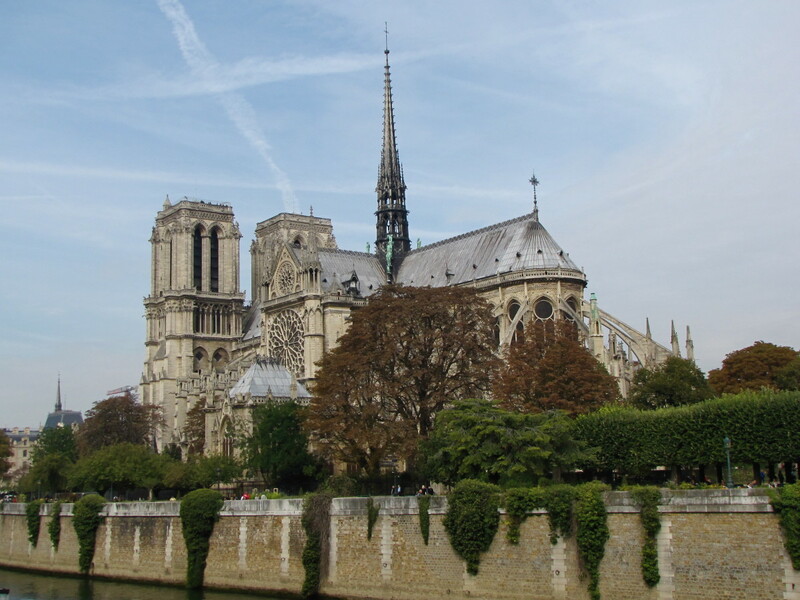 Interestingly, during the mid-16th century, olive oil was even used as fuel for lighting and Portugal exported its olive oil to Northern Europe and India for that purpose. Next time you're looking to get olive oil, consider Portuguese olive oil. You'll be pleasantly surprised. It's excellent in quality and not as expensive as others. In Portugal, you can find extra-virgin olive oil that contains 24-karat edible gold flakes. This unique gourmet item can be bought in gourmet shops and El Corte Ingles. 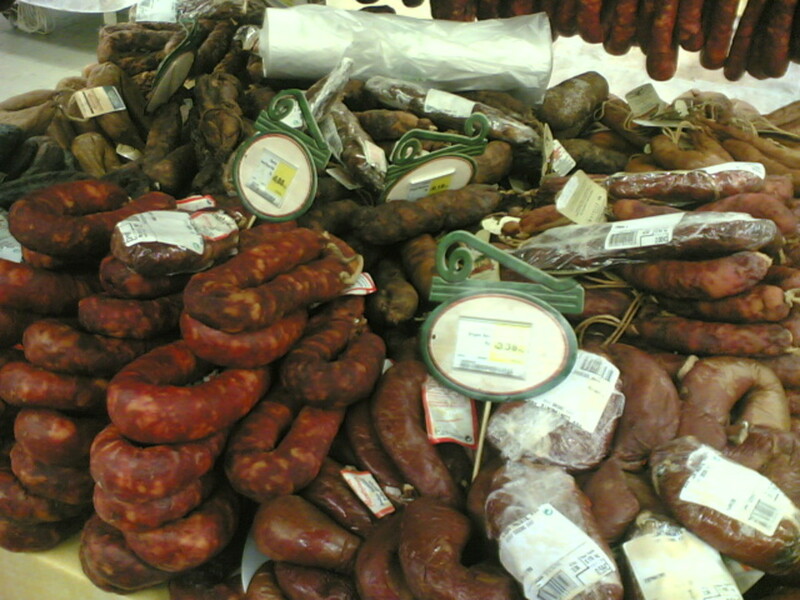 Portuguese pork sausage, called chouriço in Portuguese, is usually made with fat, wine, paprika, and salt. There are lots of different varieties of chouriço and they all differ in color, shape, and taste. Many traditionally Portuguese dishes use this kind of pork sausage as an ingredient. It's also really delicious grilled, as some Portuguese restaurants serve it. 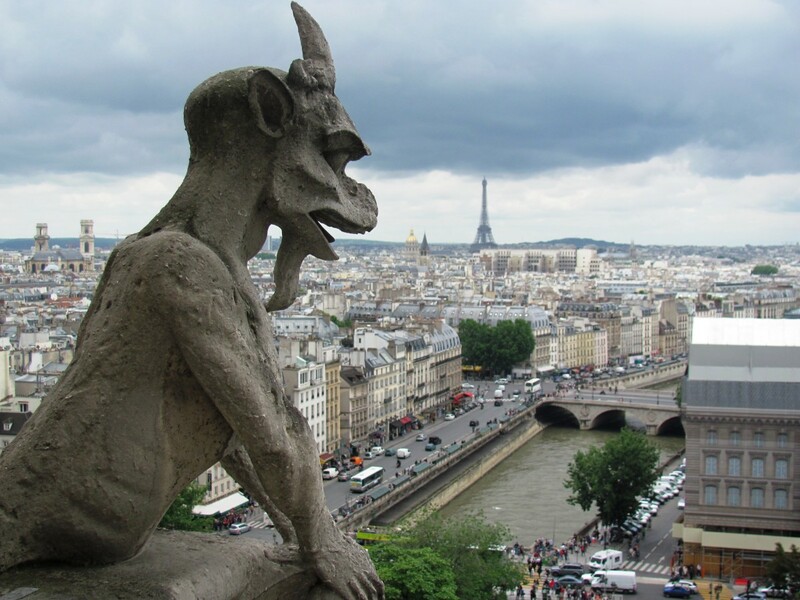 Any recommendations on foods to eat and towns/cities to visit? Everyone talks about the same things, what about Portalegre rugs, canned fishes, mineral waters, concentrated juices, soups, coffees, pottery, liqueurs, bread, beer, jams, etc. Olive oil with gold? Wow, that's something I've never encountered before. I imagine you don't actually cook with it, just use it raw? I loved your article on products made in Portugal, and have already tasted many of them. Do you know of any way to order Ginja here in the US? We recently traveled to Portugal and fell in love with it. Very helpful ...will experience them all ! Pretérito - Handmade in Portugal! Tks! Azulejos tiles have such a unique look and feel. I wish I could tile one wall of my kitchen with them. How do you not have Madeira hand embroidered linens on this list?! Hi sweet how are you.i am fine. Traveleze, you'd think so! I think it was actually started in South Africa by Portuguese people. I was shocked when I saw one in DC! I am sure Nando's is from Portugal isn't it? The wine, presunto, and cherry liquor are all incredibly underrated. Some of the very best wine I have ever drunk came from Portugal. Absolutely loved this info. I live in Goa which was a Portuguese colony till 1961. Many people still follow many of the traditions & many products you mentioned are still used by Goans. You will find it surprising that some people manufacture Azulejos . But I would love to try out the Presunto and also Portuguese Cheese. Thanks for sharing . I bought Sao Jorge cheese last summer and it was a hit. Amazing list! A bunch of hidden gems here. There's many more like these in Portugal... Hidden gems that you'll hardly find if you don't have a local connection. 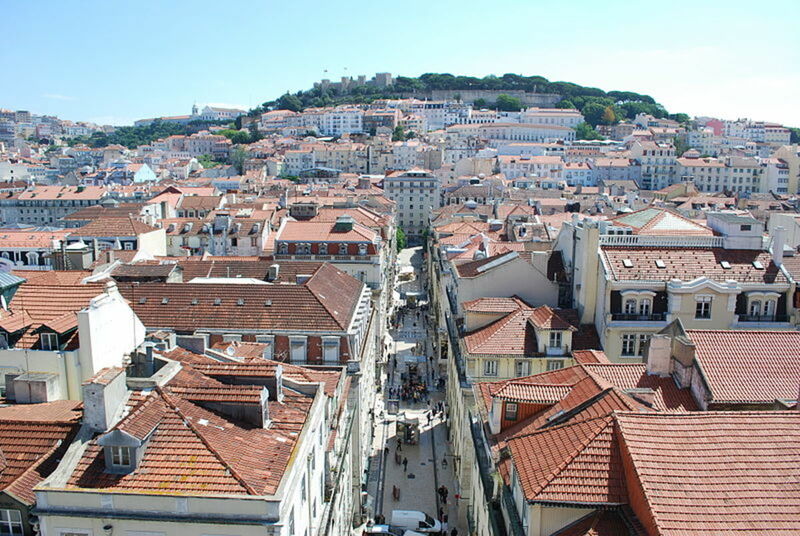 If you're visiting Portugal, I recommend using services like www.WiserGo.com which let's you design several travel packages with Portuguese agents, select your favorite, they will book everything and provide customer support while you're in Portugal. 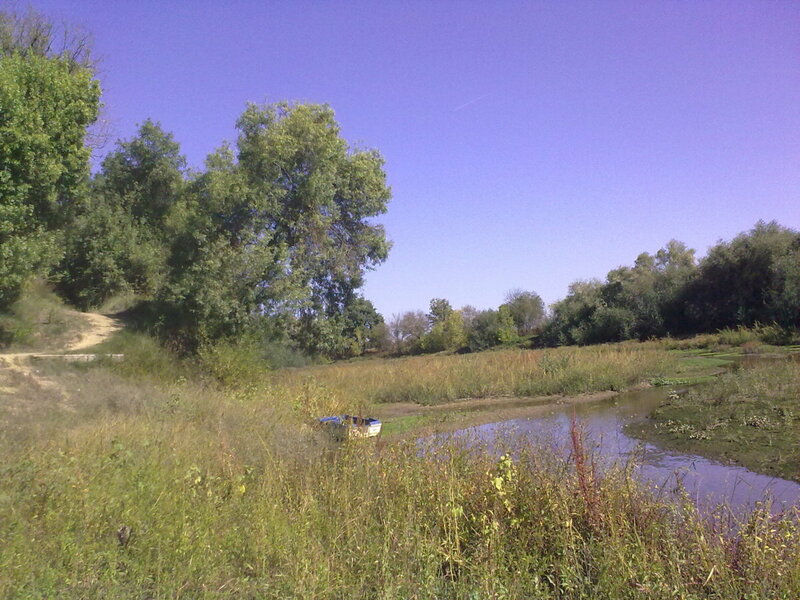 Since they are local agents, they know the ins-and-outs of everything and you get to experience the country as a local! Still trying to get a hold of ginjinha here in Canada. I'm portuguese and never tried it. Great hub and the info is very accurate! Fly London is, in spite of the name, a portuguese brand of modern trendy shoes. I have a pair of wedges from then and it's like walking on clouds, but 5 in taller! Luis Onofre has also beautiful shoes. Also the link from Luis Bretten has some really nice stuff! Nice to see such positive interest on Portuguese products! So far, this is the best online store you can find if your looking for traditional Portuguese goods, handcraft, wine, ceramic and many design pieces mainly made in cork. It's a long time since I've been to Portugal ; well the Algarve, but your hub reminded me of the incredible almond tart we used to eat regularly - it was fabulous! Thank you for jogging my memory. Have you tried the original "Pastéis de Nata"? Buying local is important the world wide. I commend you for celebrating local produc? I hope more people take note. Buy local is critical. Voted up. Outstanding. Very interesting products. Claus Porto Soaps wrapping is quite different and the products described are really worth trying. Wines and ceramic tiles also seem to be unique. Thanks for sharing. Voted up. Great hub, and great suggestions! Some of this takes me back to a childhood full of delicious (though maybe not always nutritious) Portuguese foods. Great hub! Food products made in Portugal are so tasty! And the Port wine is exceptional! Voted up & awesome! Portuguese egg tarts are so so perfect, best portuguese things ever! Thanks for a great hub. I love Portugal, and thought I knew enough about the products of Portugal. But this gave me new ideas. Thanks again! How very interesting. I have been to Portugal and loved it. The seafood was exceptional!!! Voted up!! I love Portugal. The Presunto is amazing and so is the cheese, chourico and wine! I just got back from Portugal and I also wrote an article about my adventures there! You've given me yet another reason to visit Portugal! I started out reading this hub thinking about soaking in the tub with that great soap while sipping a glass of wine and then the products just continued to get better! My inlaws make cherry liqueur and it is some fabulous stuff! Thanks for sharing these great products. Great hub about Portuguese products Global Chica. I love their wine and now will have to try to find their cherry liquor in N. America. You're so lucky to be there! Hi, Global-Chica, great hub about our products... and great publicity... Really enjoyed this! Voted up, useful, interesting and, of course, sharing! Have a wonderful day! this one I especially like.. Portugal has so much to offer! Thanks for sharing your experience and favorite things with us. Voted up. Global chica, this is a very informational hub considering my knowledge about Portugal being akin to a buffalo's knowledge about the English alphabet. I must thank you for providing some beautiful insights into the rich Portugal culture. Loved all the info especially about the chocolate shot glass, the Portuguese tiles, cork accessories and the sausages. Thanks for this informative share. Voted up all across and shared. Wow! Very interesting read on products from Portugal. The soap and cured ham are definitely worth trying! Thanks for sharing. Voted Up and Interesting!